Cough and cold remedies should be a mainstay in your medicine cabinet because upper respiratory tract infections almost inevitably affect everyone at some point each year. Such remedies won't cure your virus but they can ease the symptoms shorten the duration of your discomfort and leave you feeling much better. Coughing is a normal response to irritation and serves to eliminate phlegm and other secretions in the lungs. 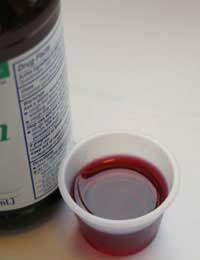 Cough syrups generally work as suppressants to help reduce the severity and frequency of coughing attacks. Some coughs can be painful and frequent enough interfere with sleep and daily activities, so a cough syrup can be helpful in reducing the cough reflex. You can also try natural alternatives such as lemon herbal tea and honey, which coats the throat and soothes any soreness. Nasal sprays usually contain a decongestant that functions to clear breathing passages. They tend to work quickly and provide fast relief but if used for prolonged periods, can leave you with a tolerance and rebound effect. It's best to use these infrequently and only use them for longer periods under your doctor's supervision. Some of the side effects to be aware of with decongestants include heart palpitations, nervousness and insomnia. As with any cough or cold remedy, be sure to take a decongestant exactly as directed and this can help to prevent overuse and side effects. Although evidence is mixed with regards to natural supplements for ailments such as the common cold, it is suggested that supplements such as zinc as well as vitamins A and C may be of benefit. You can often find these nutrients in lozenges, which may also contain herbal ingredients to temporarily soothe sore throats and clear nasal passages. Salt water gargles can be helpful for soothing a sore throat, so it's a good idea to keep salt crystals on hand in your medicine cabinet. Try half a teaspoon of salt in an eight ounce glass of water and gargle in the morning and before bed. Medicated lozenges are another convenient way to obtain fast relief; these often contain menthol to clear your nose and help you breathe more comfortably. Fevers are actually your body's way of fighting off infection by raising your body temperature to a level that suppresses the virus or bacteria while activating your immune system. Very young children or the elderly are those who may require medication to lower their fever, but most people with mild to moderate fevers won't require medications to this effect. If you do wish to take a medication to lower your fever, good choices are Acetaminophen or Ibuprofen. Multi-symptoms formulas are convenient if you have many symptoms but it's best to just take a targeted medication if you're only suffering from a sore throat, for example. If you're taking any vitamin supplements, try to take them at the first sign of a cold. You shouldn't need to use cough and cold remedies for prolonged periods of time, so if your symptoms persist, it's wise to see your doctor. As with any medications, keep cough and cold remedies locked safely away in a medicine cabinet away from children. Keep an eye on expiration dates. Cough and cold remedies aren't usually used up from one or two episodes, so most people have them sitting in cabinets for years and the active ingredients may no longer be effective when you really need them. With so many over-the-counter preparations for coughs and colds, it can be a challenge choosing the best one. Be sure to thoroughly read labels and never hesitate to ask a pharmacist for help with finding the right remedy for your symptoms. Cough and cold season is anything but pleasant, but with the appropriate remedies on hand, you can ease your pesky symptoms and feel more like yourself again.